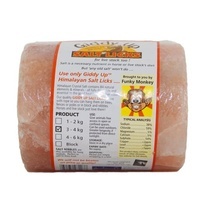 Giddyup Himalayan Salt Licks are 100% Pure, Natural Himalayan Rock Salt which provide essential micro nutrients in a natural form providing 84 trace elements and minerals in minute quantities that correspond with the mineral in cell structures. These trace elements and minerals are so small they can be absorbed at a cellular level. 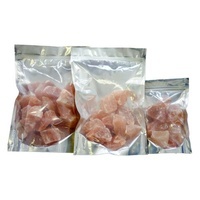 There are many differences from Giddyup Himalayan Salt Licks and ordinary sea salt licks. Giddyup Himalayan Salt Licks are carved from 250 million year-old natural salt from the Khewra Mine(Himalayas)Long-lasting for horses, livestock and other pets to enjoy for hours on end. They are rock hard, so horses, livestock and other pets cannot bite pieces out of them. Giddyup Himalayan Salt Licks and DARK HORSE blocks make the perfect unique gift for animal lovers. 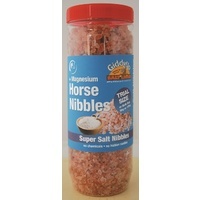 Giddyup Himalayan Salt Licks are recommended because along with helping prevent colic and dehydration, sodium is a necessary nutrient in a horse's diet. Without salt they will get sick. Every mammal requires salt. It is actually a necessary nutrient in our diets. Horses, like humans, lose minerals from their bodies as it is carried out in their sweat...one of the most abundant of these minerals is salt...Horses often lose lots of salt during very strenuous workouts. So, some owners try to help them replenish the lost salt by providing a salt block. This helps the horse regain the lost salt quickly, however there are more reasons. Salt often makes you want to drink, right, so, it's similar for horses. By having salt blocks available, they're also encouraged to drink more water to keep them hydrated! 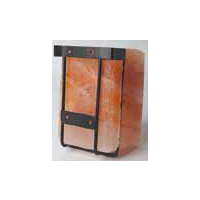 Giddyup Himalayan Salt Licks are extremely hard, making them very weather resistant. 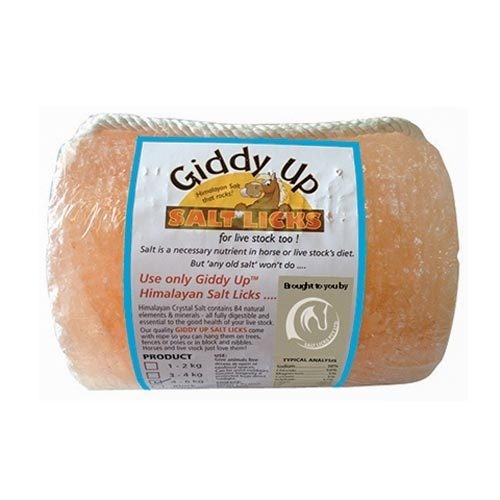 Giddyup Himalayan Salt Licks are best utilised in stables/paddocks or feed lot farms containing all the nutrients needed by the animals at all life stages. Each lick comes ready with a quality white rope to allow it to be hung on a gate, fence, tree or feeder.